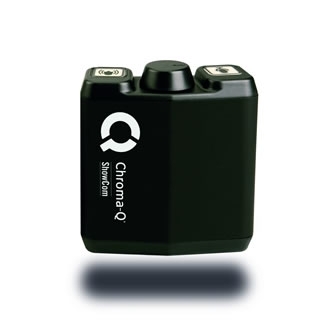 With a reputation for innovative effects, control and data distribution accessories, we have turned our attention to the Audio sector with the launch of the new Chroma-Q® ShowCom™ - a compact, rugged, cost-effective show intercom beltpack. ShowCom™ combines professional level, reliable production communications with operation which is simple enough for anyone to use - making it perfect for stage and theatre shows, education drama facilities and many other applications. The single channel belt pack can be used with compatible master stations and connected via industry standard two core, screened microphone cables. Features include a tour-proof, extruded aluminium chassis with high impact injection moulded end caps and a robust circuit design maintaining high speech intelligibility.